Frieda Loves Bread: Rice Chex is Gluten Free! 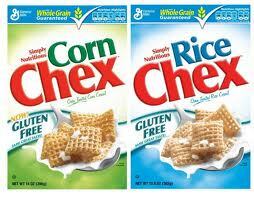 1 Rice Chex is Gluten Free! Many sweet ladies volunteered to cover my position as Primary pianist in church while I was gone with the Japanese students. I decided to gift each of these ladies with a hot loaf of my honey wheat bread. 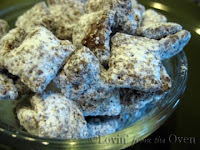 Muddy Buddies. Also known as Puppy Chow. So easy to make, so addicting, and so good! I made sure all the ingredients (cereal, peanut butter, chocolate chips, butter, vanilla and powdered sugar) said Gluten Free on them. If I couldn't find it, I looked it up on the Internet. She was thrilled to get a treat, and appreciated that I took her diet into consideration. After talking to her about baking gluten free products, and asking about a gluten free blog site, she highly recommended Gluten Free Girl and the Chef. More than just recipes for the gluten free diet, here is a story about a writer, discovering the joy of finding food that loves her back and falling in love with The Chef, her partner in life and cooking.